We received – and are forwarding – an announcement by our friends at the Heal the Bay. The following piece is from Kirsten James, HTB’s Water Quality Director. The federal Clean Water Act turns 40 this year. Water quality has come a long way since 1972 but we’ve still got a lot of work to do to ensure that our waters remain safe and healthy. Our nation’s rivers are no longer catching on fire (e.g. the Cuyahoga River, circa 1969) but the battle for our creaks and rivers in Los Angeles rages on. 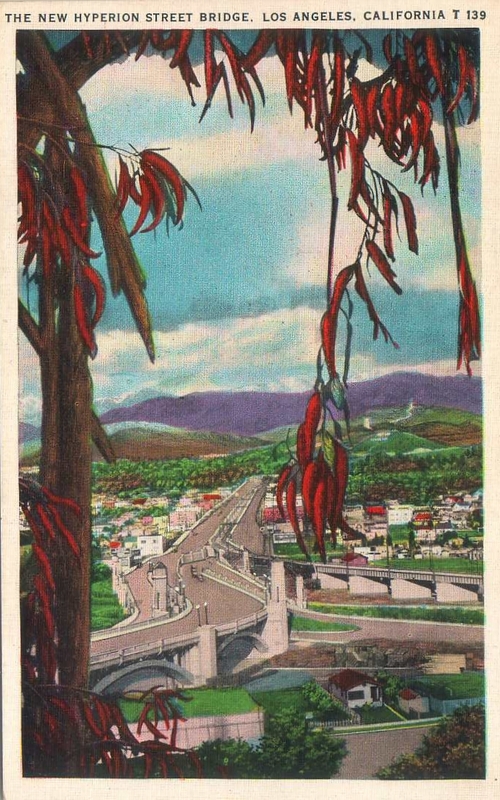 New year’s greetings from the Los Angeles River – Thanks to Netty Carr for this vintage postcard view! On behalf of all of us Los Angeles Creek Freaks here – Jessica Hall, Joe Linton, Jane Tsong and Joshua Link – Happy New Year! 2010 began and ended with wonderful powerful rain storms. It was full of big creek stories – from the threatened oak woodlands in Arcadia, to the unveiling of the beautiful new Elmer Avenue green street project, and the long awaited river path opened in Elysian Valley. The Los Angeles River was declared traditionally navigable! 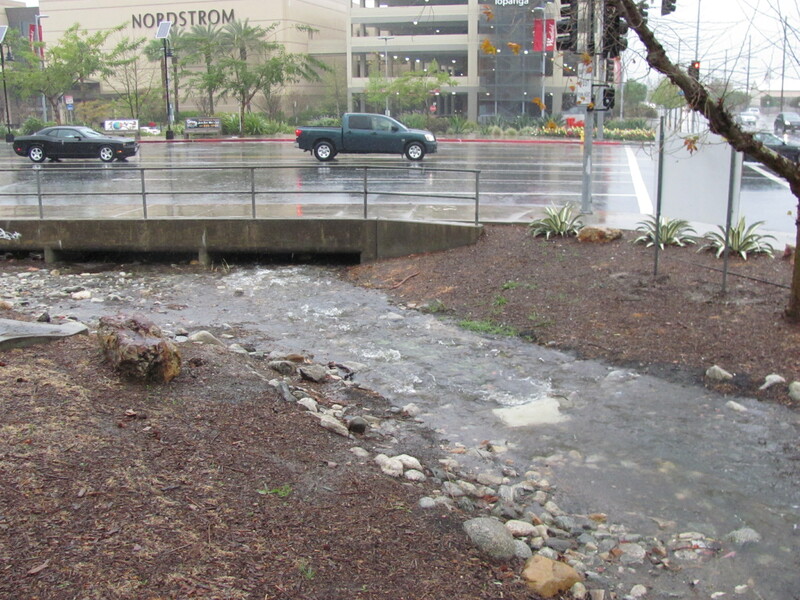 Here at L.A. Creek Freak, we’re very excited about the EPA’s determination that the Los Angeles River is navigable and is protected fully under the Clean Water Act. It’s a welcome decision, strongly supported by the river’s past, present, and planned future. The determination got the L.A. Times out kayaking the river (watch their excellent video!) and sparked off mayoral, journalistic, and advocate discussions of the river’s bright future. But… the whole navigability test is… unfortunately… a bit limited. Is navigability the right test for what streams deserve federal Clean Water Act (CWA) protection? Is the Clean Water Act all we need to restore rivers, creeks, and watersheds? 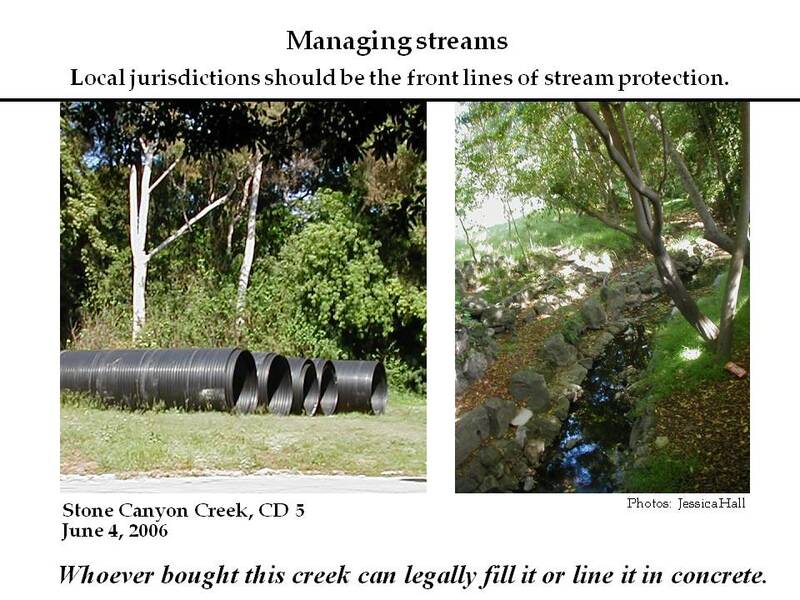 Does a narrow focus on improving water quality get us to a goal of healthy creek and stream ecosystems? You are currently viewing the search results for "Low Impact Development".